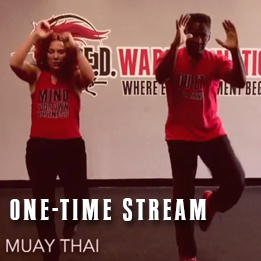 Stream a class with a 1 time 24 hour access pass. Get ready to Quiet Your Mind™ and Empower Your Body™ at your own pace. Please click herefor a brief intro on our program, our stream, and what to expect from us and yourself from the Co-Founder of R.E.D. Warrior® Jani Roberts! NOTE: Your 24 hours begins as soon as you place your order, NOT when you click play for the first time. Please make sure you have time set aside within a 24 hour period before placing your order.